We can enhance our Windows PC to do more than what was pre-programmed out-of-the-box by installing additional third-party softwares, enabling us not only to be able to tuned each and every aspect of the device, but to also simplified tasks, improve multitasking, use additional programs, and to do a whole lots more. 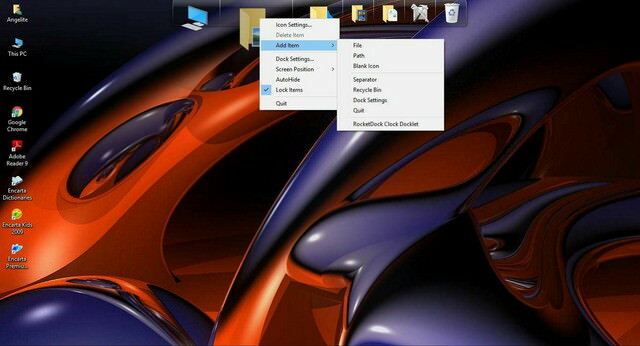 RocketDock is one of those software we found useful. It is a beautiful floating shortcut bar that is fully customizable and that can be placed anywhere on the screen. Punk Labs, the developer of the software offers it for free, so there is no in-app purchase or extra fee attached to use the software on your Windows 10 PC. 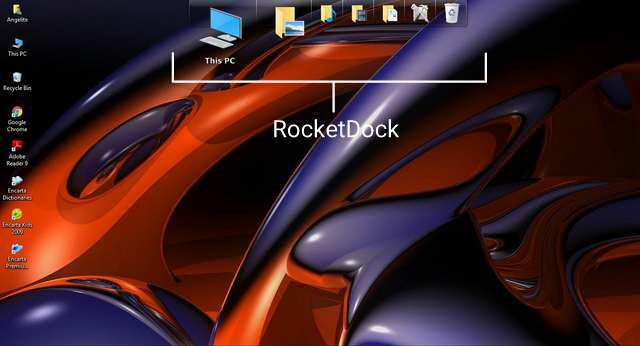 What does RocketDock does? It is simply a little program aimed to improve multitasking when using your PC. As we already said, it is a floating bar that float at the top of the display. It can also be placed at the side or at the bottom of the display depending on your preference. 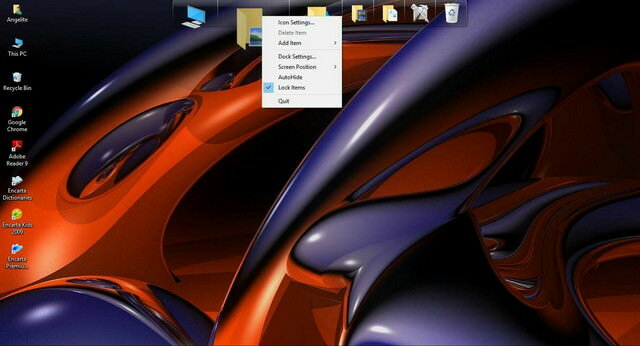 The app comes with a lot of themes (15+) to match your desktop or wallpaper. You can add any folder, file, or app to the floating bar as a shortcut to quickly access them later with one tap of a click, even when running a fullscreen app. 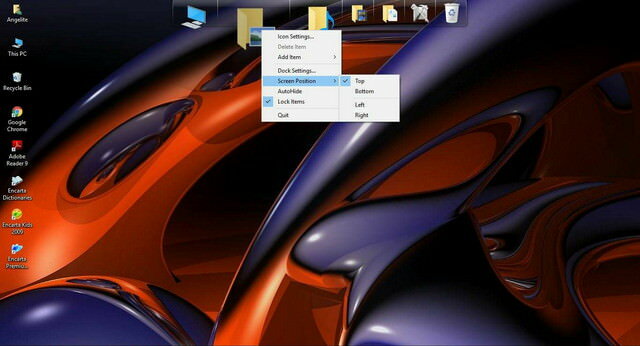 You only need to drag the file, folder or app icon to the bar and it will automatically be added. Perhaps what makes RocketDock unique is its auto hide feature. When auto hide is enabled, the app as its name suggest will hide (or undock) on the screen and pop out when the mouse is hover at the place where it is docked. 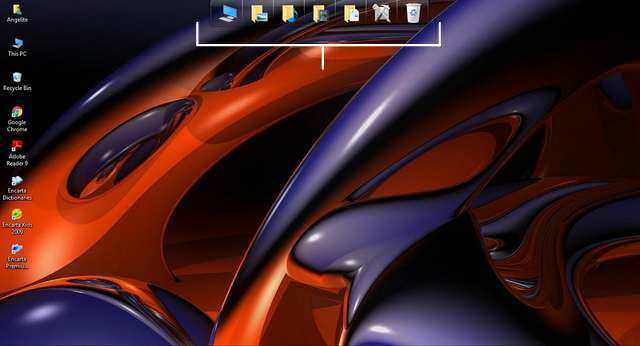 Various visual effects are also put in place to give it a modern touch - one of these is Bounce effect, that makes an app, folder or file shortcut docked to the floating bar bouce when clicked. 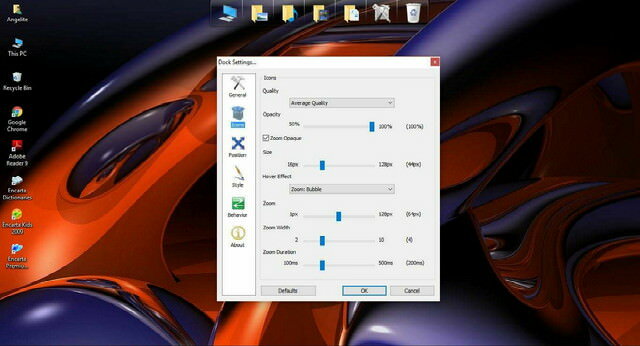 You can set the transparent level, icon size, screen position, themes, pop-up effect, outline and shadow colors, and behavior from the settings. RocketDock works on Windows 10 and older versions of Windows. It is light in size (~7MB) and can be downloaded from here.